At the end of October, Prestel Publishing is releasing a detailed book by Peter Stepan about Picasso’s love affair with African and Oceanic art. 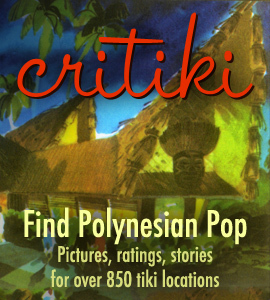 Here he is on the cover of the book, with a Marquesan tiki he was particularly fond of (can’t blame him!). The tikis and other items from his collection now reside in museums and also in the private collections of his family members, and many of them have been photographed and described in detail for this book. The list price for the book will be $85, but Amazon is offering pre-orders for $53.55. Tip of the hat to Aaron’s Akua for the heads-up. You can learn more about Picasso’s Marquesan tiki on this thread at Tiki Central.